Ok Grisham, you're going to have to do better than this. Were you trying to emulate Schubert's "Unfinished Symphony" when you wrote Gray Mountain? This book has all the style and finesse of the other books written by this author, being both an easy, and exciting read. 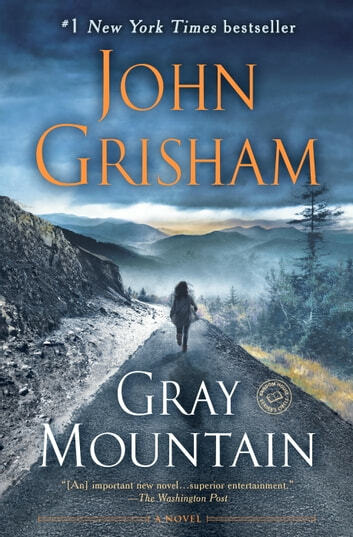 I'll have to think twice about investing in Grisham's next tome if Gray Mountain is a portent of style to come, as it seems he just put his pen down 3/4-way through the story and ended the book prematurely. I even checked my e-reader to see if it malfunctioned, as the end of this book was so ill-conceived that it surely could not have been written by such an esteemed author such as Grisham. It would seem many authors have a gift and passion for great storytelling in their early careers, only to be more concerned with fees earned from their publisher in their twilight. Sadly, we may have seen the start of that decline with Gray Mountain. Great book until the last four or five pages. The ending came very abruptly and seemed like the author was bored and didn't know how to end the book. it wasn't a smooth fluid ending. Very harsh! I liked it but I felt it was unfinished. I think authors are having a hard time ending their books and this just left me hanging. I don't often give 5 stars. I became so intrigued by the characters that I want to know what happened next in their lives. I also had no idea about the lives of coal miners and others who live in the Appalachians. Fascinating. Not Mr. Grisham best effort. It was just not up to the same standard as some of my personal favorites like "The Rainmaker", The Runaway Jury and the Testament. It almost like he is setting us up for a sequel.